Fresh from the Press: Pegvaliase (now called PalynzigTM) has been approved by the FDA for use in adult PKU patients in the USA with phenylalanine > 600 micromol/l. Why is a different treatment needed? My response was ‘But do you remember what that diet entails? Would you manage without eating meat, fish, eggs, milk, milk products, or bread, pasta and biscuits made with normal flour? 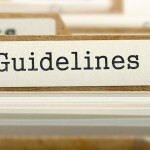 You cannot even lose weight by following ‘a diet.’ And then, I only have to look at the ‘older’ literature summarized in the first European guidelines on PKU (van Spronsen 2017, van Wegberg 2017) and for example the very recent papers from Jahja (2017, 2017), De Felice (2018), Didycz (2017, 2018), Romani (2017): PKU patients are not all as normal as we might have thought before. So ………, you are not that lucky when you have PKU! In 1999, it was discovered that some PKU patients benefited from a biological substance, BH4 (tetrahydrobiopterin). It has been developed by the American company Biomarin into a drug called Sapropterin (Kuvan®) and at the end of 2007 it received ‘FDA* approval’ which allowed it to be used on the American market (for all ages of people with PKU who responded to BH4). The European approval (EMA* approval) came at the end of 2008 and was brought to Europe by Merck-Serono. There were some differences with the approval of the FDA. In Europe, it could only be prescribed from the age of 4 years, but it could also be used for patients with a disorder in the metabolism of BH4. Since 2015, it has been approved for children from infancy onwards in Europe. Why Pegvaliasis (now called PalynzigTM) needed when we have Kuvan®? In practice, as practitioners we have used BH4 since approximately 1980, but this was for patients with a (much rarer) disorder in BH4 metabolism. The group of around 5 defects of BH4 metabolism are called ‘PKU like’, but they have far more problems than seen in patients with PKU. In addition to Kuvan®, these patients use other medications with many side effects. The problem with Kuvan® is not its side effects, which are rare, but the fact that only a limited number of PKU patients benefit from it. This is why we have placed our hopes on another medicine that Biomarin has developed in the USA, PAL, Peg-PAL, or Pegvaliase, which is now approved as PalynzigTM. PalynzigTM is a medicine that works very differently and has a completely different history compared to Kuvan®. In the USA, PalynzigTM is approved by the FDA for use in adult patients with PKU with a phenylalanine of > 600 micromol/l! Whether that means that it will also be approved in Europe within the foreseeable future is not clear. What is clear is that there are developments in Europe which I will come back to but first let’s discuss the ideas behind and the development of PalynzigTM. In the early 90’s. a Canadian group from Montreal did animal experimental research that showed that PAL, phenylalanine ammonia lyase, was an enzyme that broke down phenylalanine (although blood tyrosine still remained low). The first studies in which PAL was given by mouth indicated that it worked only transiently. It turned out it was broken down in the stomach. After much research, it was tested as a Peg-PAL by Biomarin in patients. This meant it had to be administered by injection under the skin once a day (similar to insulin). In 2014, the first article was written about this and it was published in the Lancet. Results were exciting, but the problem was that it triggered allergic reactions, with everyone. The extent of the allergic reactions differed, but the reactions were not only local redness, but also reactions of the whole body. Medication to treat this is sometimes necessary but these reactions seem to become less with time but still occurred in a high number of the patients. There is also bone or joint pain, but this only occurs for a few weeks. Our American colleagues indicate that it often starts in the 10th week after starting the PalynzigTM. Fortunately, this pain is treatable. At the beginning of this year, Biomarin changed the term Peg-PAL to Pegvaliase and now PalynzigTM. 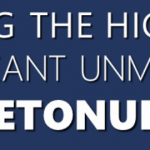 Is PalynzigTM the panacea that the PKU patients are waiting for? Yes, because PalynzigTM certainly helps many more patients with PKU than Kuvan®. At the same time no, because we need it to be even better, but the reality is that it will take some time to obtain a better medication on the market. So, I think we have to be happy with it for now. If you use Pegvaliase®, do you no longer have to use a diet? From the data we have seen, some people can follow an unrestricted diet but there are others (just like with the Kuvan®) who still have some restriction. We will see!! But when is PalynzigTM available for patients in Europe? This is not an easy question to answer. We know that Biomarin has had contact with the EMA, but the status of this contact is not entirely clear. Will they convince the EMA, by offering the same file that they have offered to the FDA? Do they need to do additional research in Europe? 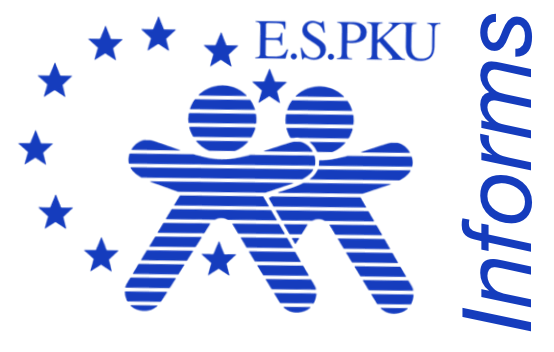 There is an important difference between Europe and the USA in the treatment of adults with PKU. In the USA, dietary treatment for adult PKU patients is not reimbursed, in Europe it is in principle. So, it could be that the FDA says that PalynzigTM is the first real treatment for all PKU patients and that consequently, the FDA is milder than the EMA because in Europe there is indeed a treatment available for all PKU patients that is reimbursed, namely the diet. But even if the EMA approves it, this does not necessarily mean that the authorities in your specific country will place PalynzigTM on the market and reimburse the costs. First of all, the price must be negotiated per country. Experiences with Kuvan® have taught us that the authorities of various European countries address this issue in very different ways. Authorities can decide that the drug is too expensive for what it delivers or that the meaningfulness of the drug is insufficient to use it as a medicine. Exciting times for you! And, hopefully, the ESPKU can use their political power to help obtain reimbursement in as many European countries as possible. *The FDA (USA Food and Drug Administration) is the American watchdog that decides whether medicines are safe and effective and therefore should be allowed on the market. The FDA is about the USA. The counterpart for Europe is the EMA. The EMA (European Medicines Agency) is based in London, but it will be transferred from London to Amsterdam. Hey Buddy!, I found this information for you: "Pegvaliase (PalynzigTM) has been approved". Here is the website link: https://www.espku.org/2018/05/28/pegvaliase-palynzigtm-has-been-approved/. Thank you.